Like Martin Lodge, Michael Williams works at the Waikato Conservatorium of Music in Hamilton. 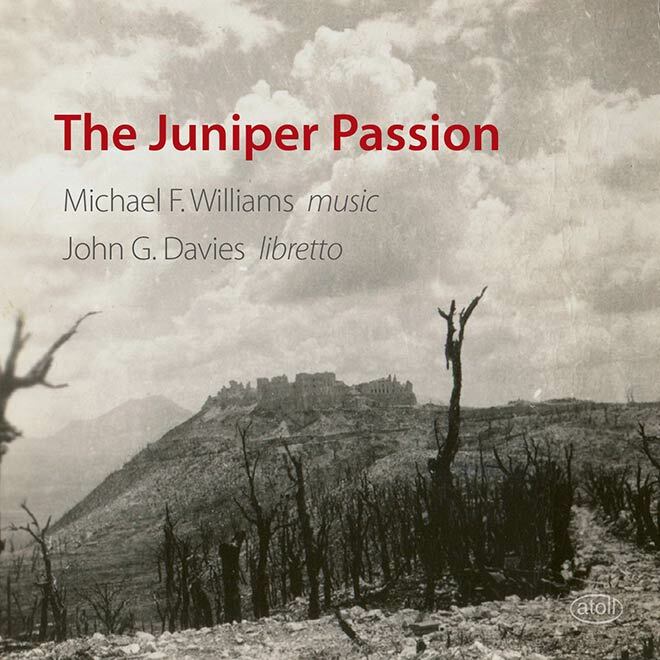 His three-act opera, The juniper passion (2008), is based on events during the Second World War battle of Monte Cassino in Italy. It was performed on location at Cassino in 2013, and was also released as a recording. This is the cover, showing the abbey at Cassino.